About – Properties by Landmark Inc. In 1986 then real estate agent Ann Cline, envisioned a property management company in the Sequim-Port Angeles area. As she excelled in property management service, she founded Landmark. The Sequim and Port Angeles offices separated in 1998, as Ann sold each office to her supporters. 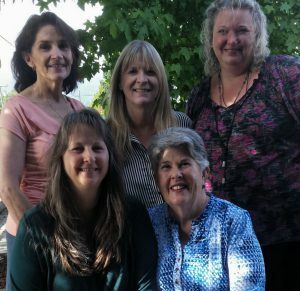 Alice Yuhasz and Janet Stevenson purchased the Port Angeles office. Janet then an agent, became the designated broker; and Alice the office administrator. Celebrating our 31st year in 2017, Properties by Landmark, Inc. leads the community in property management. We were awarded 2017 #1 Rental – Best of the Peninsula, Clallam County by the Peninsula Daily News!